1. What Will I Learn? 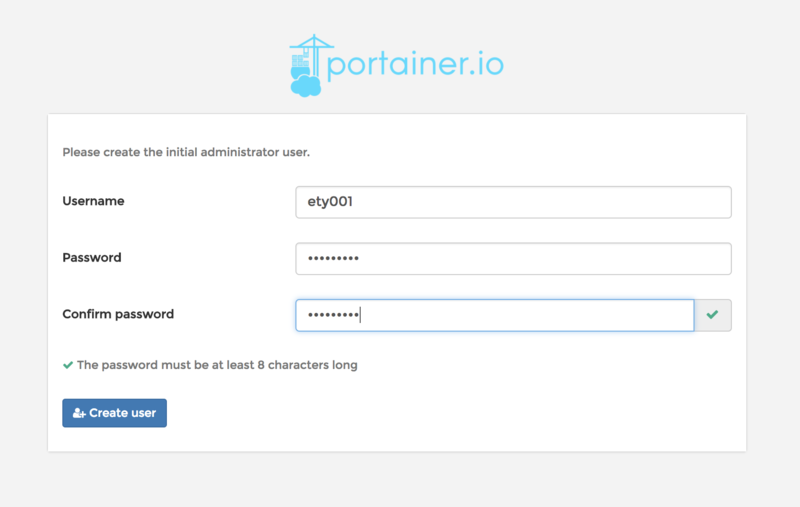 Portainer is a simple UI management for docker. It’s easy to use and all your resources will show you friendly. It’s very light especially using a VPS which has only 512MB RAM. 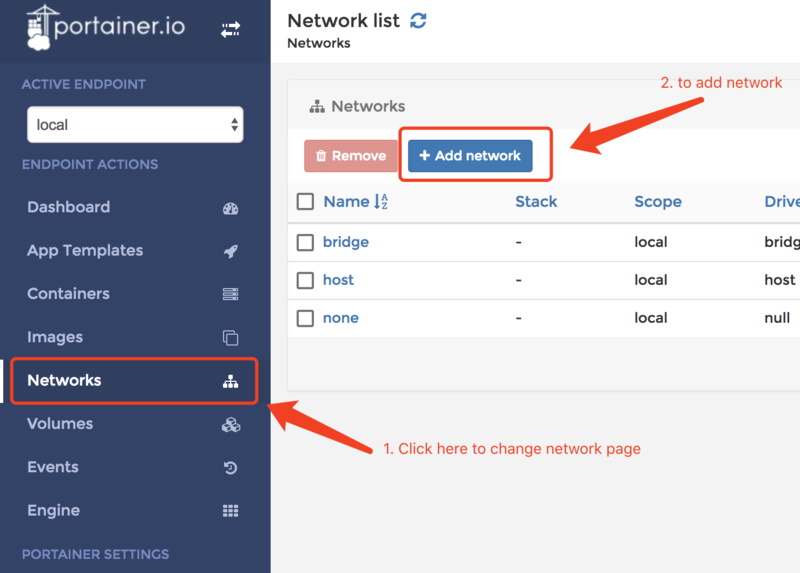 In this tutorial, we will make a LNMP server over the docker container by Portainer. 1.Create a volume to save the portainer data. You also can bind a folder. -p 9000:9000 means making a port map. Portainer needs port 9000 opening. 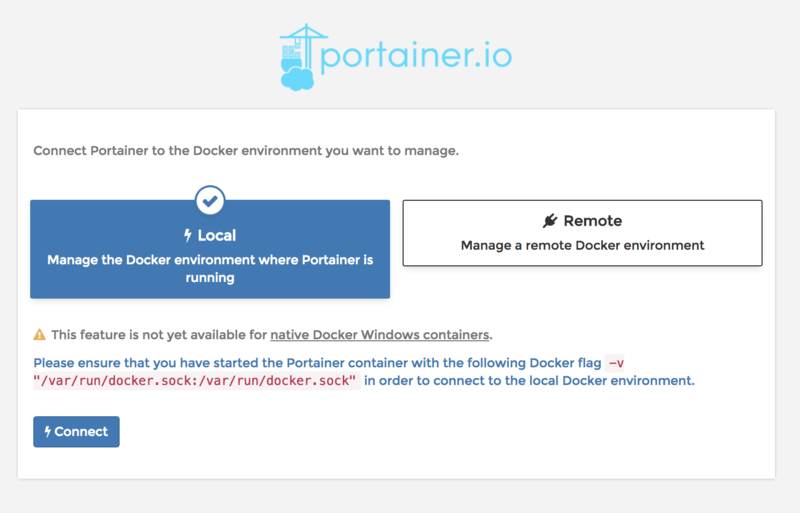 -v /var/run/docker.sock:/var/run/docker.sock This parameter is important if you want portainer to manage your local docker. 3.Visit http://localhost:9000 in your browser and input your username and password to create the administrator user. 4.In next step select the Local option and press Connect button to finish setup. 5.When you see the main page, the installation is over. The container link is out of date now. The portainer doesn’t support the container link any more. So we need to create a new bridge network and bind static IPs to every container we create. Then each container can communicate with each other through the static IPs. 1.Get in the Networks page and click the Add network button. 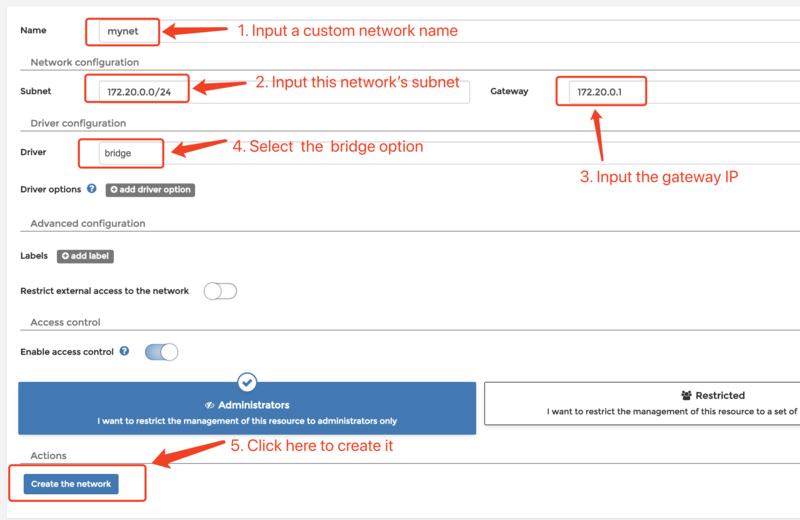 2.Input the required information like the snapshot and then click the Create the network button. 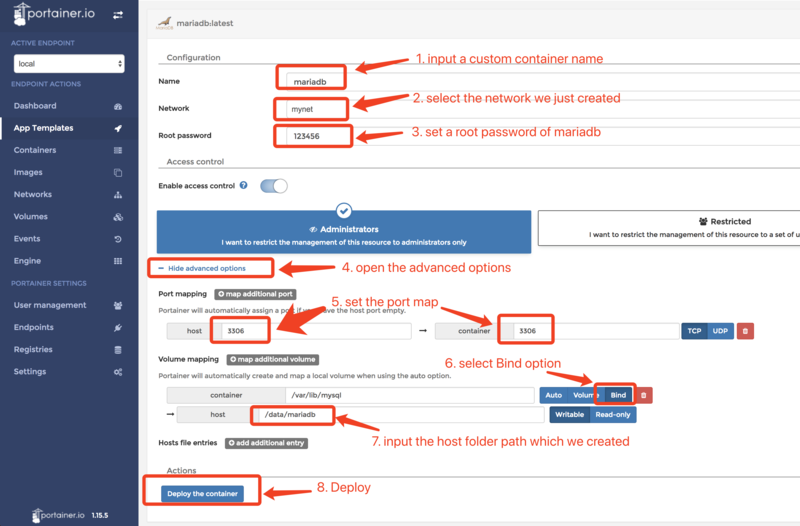 In this tutorial, we use the App Template to create the MariaDB container. 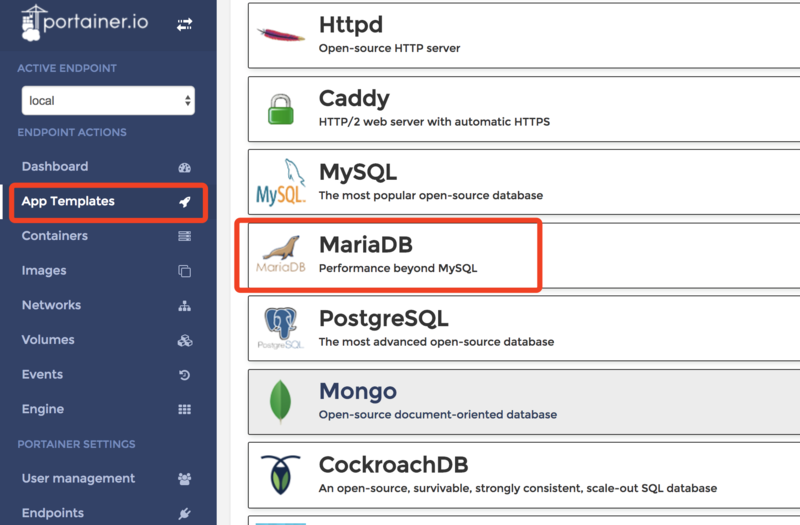 2.Enter the App Template page and select the MariaDB option. 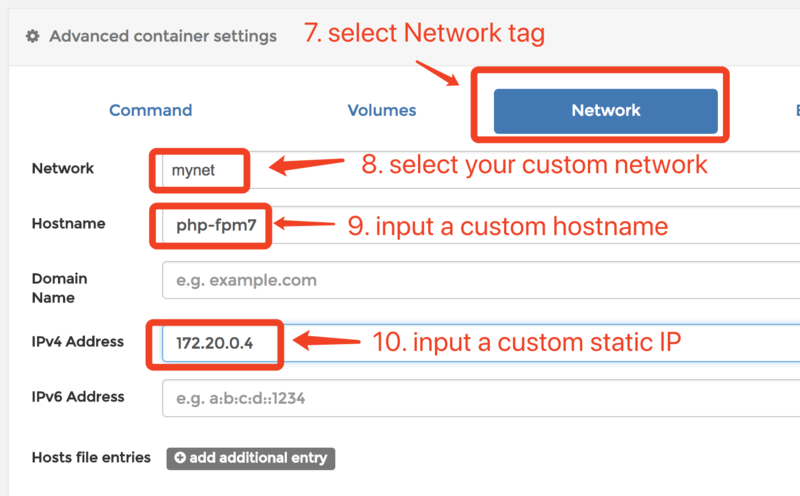 6.Find the Advanced container settings section, select the Network tab, input a static IP into the IPv4 address, click Deploy the container. 7.Portainer will mention you whether if to replace the original container. Click Replace. --network mynet is needed. 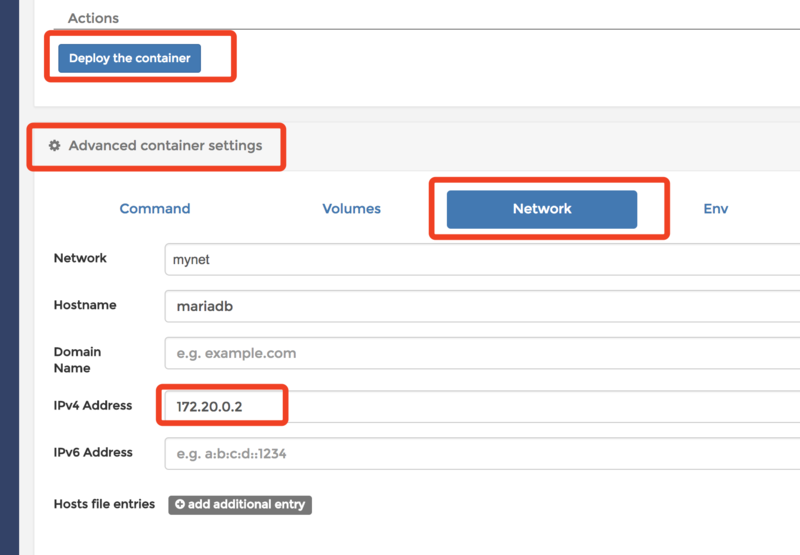 You must put the client container into your MariaDB server container’s network. --rm will destroy this client container when it ends. 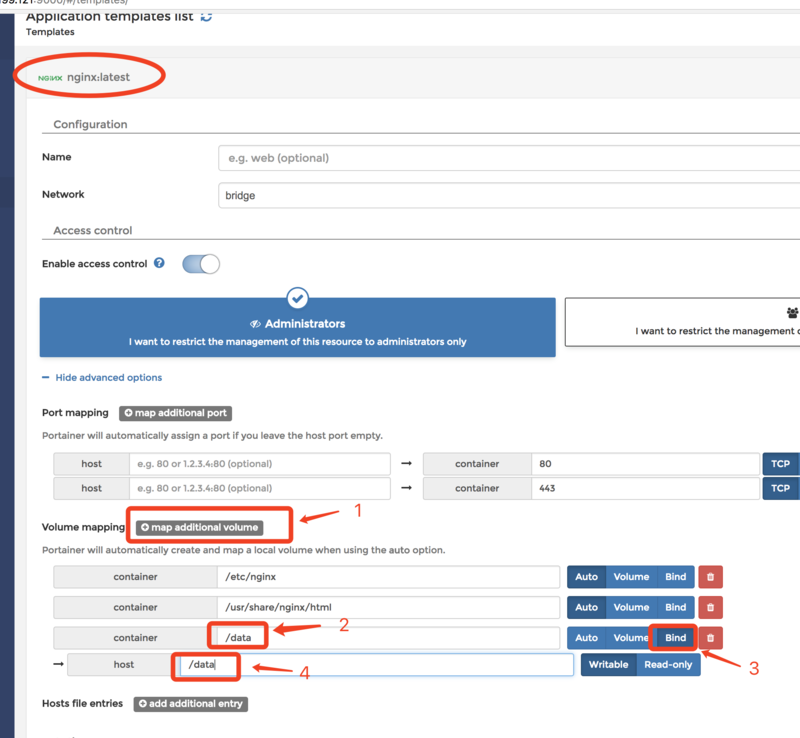 In this example, we use the App Template to create the nginx container. 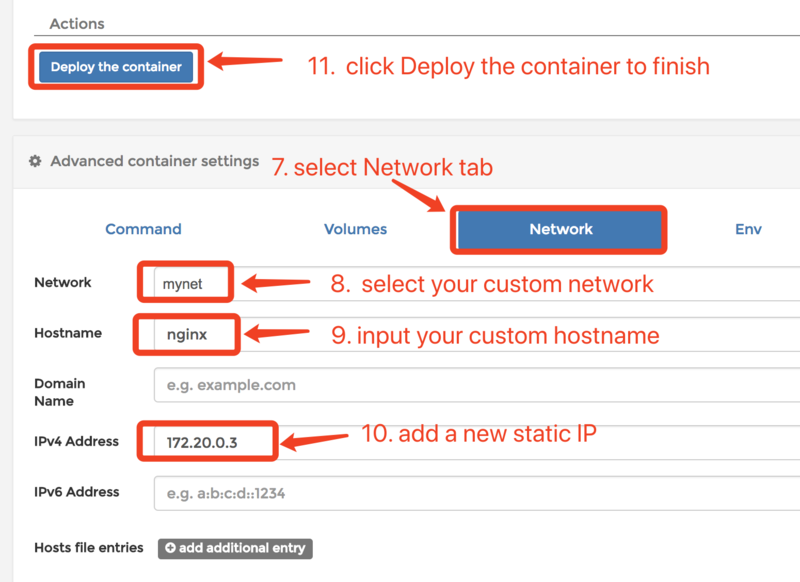 1.Deploy a nginx container from App Template and bind container /data to host /data. 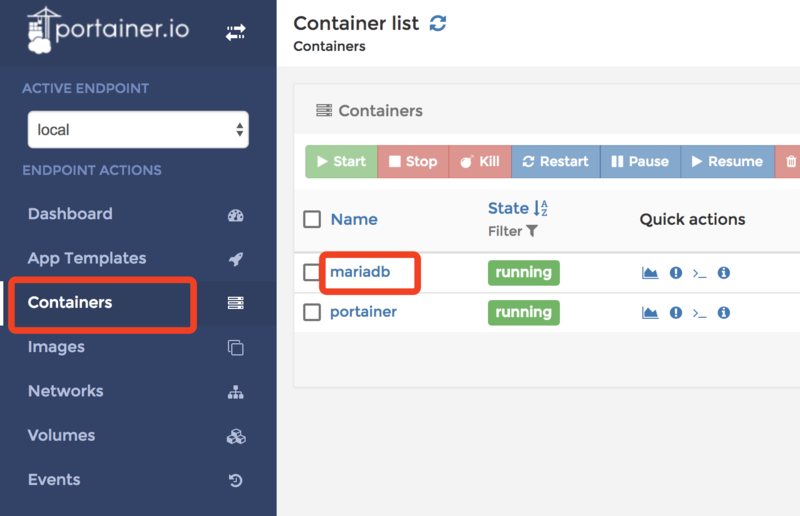 2.Open the Containers list and find the container you just created and click the third icon to get in the container console. 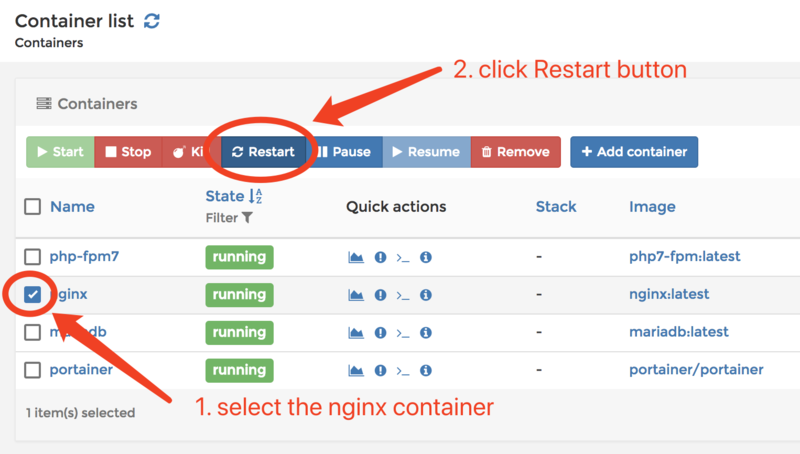 3.Run this command to copy nginx configurations to your host. I refer to this repo to create the image. This image is based on Alpine so it’s light enough. 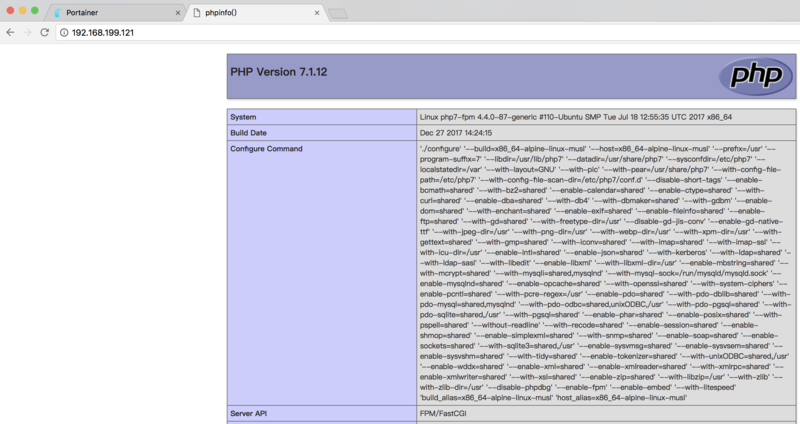 $ docker build -t php-fpm7:latest . Using dockerized apps is a trend. 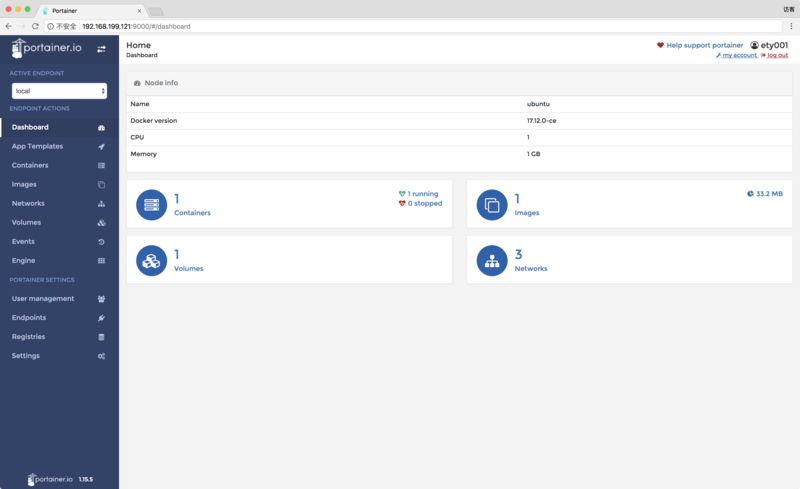 If you want to run dockerized apps on your personal VPS, Portainer is a good choice. It’s easy and light. Portainer 是一个为 Docker 设计的简易 UI 管理界面. 通过 Portainer 可以轻松管理你的 Docker 的各种资源. 它是轻量级的, 你甚至可以在一台只有 512MB 内存的 VPS 上部署使用. 在这个教程中, 我们将通过使用 Portainer 部署一套 LNMP 环境, 来学习如何使用 Portainer. -v /var/run/docker.sock:/var/run/docker.sock 映射出 docker socket 使 Portainer 容器可以管理 Docker. 4.选择 Local 选项后点击 Connect 按钮完成安装. container link 连接容器的方法已经过时了, 并且 Portainer 也不支持 link. 因此为了让容器间可以通讯, 我们需要建立自定义网络, 并手动分配静态IP给每个容器. 1.进入 Networks 页面并点击 Add network 按钮. 2.按照截图提示输入必要信息并点击 Create the network 按钮. 在这个教程中我们使用 App Template 来创建 MariaDB 容器. 2.进入 App Template 页面后选择 MariaDB 选项. 6.找到 Advanced container settings 部分, 选择 Network 选项卡, 在 IPv4 address 中输入一个静态IP, 点击 Deploy the container 完成. 在本教程中我们使用 App Template 创建 Nginx 容器. 1.从 App Template 中部署一个 Nginx 容器, 并把容器中的 /data 绑定到主机的 /data 上. 2.打开 Containers 列表, 找到你刚才创建的容器并点击第三个图标, 进入容器的 console 界面. 我参考了这个 repo 来创建镜像. 这个镜像的好处是基于 Alpine 创建, 非常轻量. 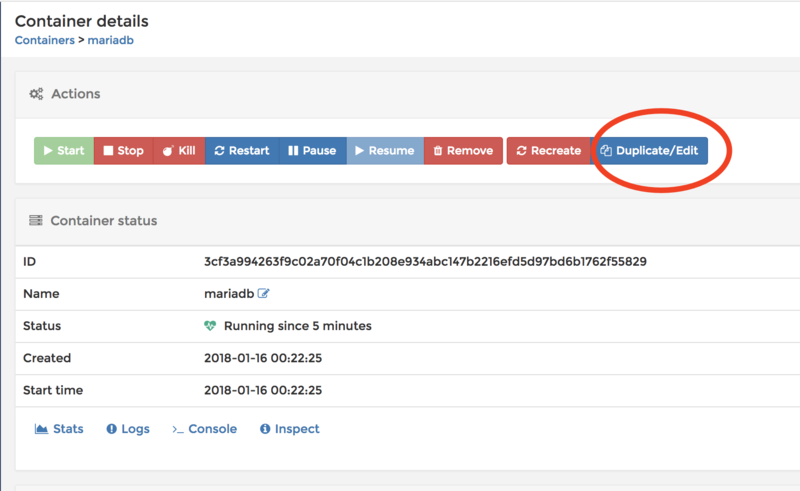 使用 Docker 化应用是一个趋势. 如果你想在你的个人 VPS 上运行 Docker 化的应用, Portainer 是一个不错的选择, 因为它使用简单并且轻量.